The Talent Lineup at the Hollywood Seminole Hard Rock Café Will Be Back-to-Back Throughout March, Attracting Visitors from Across the U.S.
People will be flocking to Hollywood throughout March to catch the lineup of rock and comedy stars at the Seminole Hard Rock Café. Beginning with Jay Leno March 8 and ending the month with Blondie on March 25, with The Moody Blues, Tony Bennett and George Lopez filling the calendar, demand for accommodations in Hollywood is spiking according to John Romano of Fort Lauderdale Vacation Rentals. Visitors can’t get over the value they get with vacation rental condo or villa instead of a hotel, especially when they discover how much they’re saving over a hotel. Just in time to kick off spring break, the Hard Rock Café in Hollywood has announced a lineup of talent that is already attracting visitors from across the country. As crowds flock to Hollywood to enjoy the beginnings of spring break and take in their favorite artists, many are booking vacation rental condos and cottages in Hollywood through Fort Lauderdale Vacation Rentals instead of expensive hotel rooms. A site for travelers to find privately owned apartments, condos and homes in Fort Lauderdale, Hollywood and all across Florida, FtLauderdaleVacationRentals.com helps visitors connect with private vacation property owners and rent directly from them. A growing trend in hotel-free lodging, vacation rental properties provide affordable accommodations for families and groups of friends looking for Fort Lauderdale / Hollywood area vacation beach homes, condos, or lofts to rent at a much greater value than renting a hotel room, especially in Florida’s high tourist season. Through FtLauderdalevacationrentals.com, travelers can rent a private three bedroom, two bath apartment in Hollywood Beach that sleeps eight or a cozy one bedroom, one bath condo bedroom condo, a perfect weekend getaway destination for two, at prices significantly lower than those of area hotels. In addition to the cost savings, the added benefits to staying in a private Hollywood vacation rental home are the kitchen, laundry and other amenities that go with staying in a private home. “We’ve found that visitors from the U.S. and Europe are logging on to FtLauderdaleVacationRentals.com to search for an affordable alternative to a hotel, but they’re finding so much more,” said John Romano, founder of Fort Lauderdale Vacation Rentals. “Travelers coming to Hollywood for spring vacation and to see any of these phenomenal shows scheduled for the Hardrock are also coming to enjoy the beautiful beaches and attractions that Fort Lauderdale offers,” Romano said. “They appreciate the value of private vacation accommodations with all the comforts of home. “Visitors can’t get over the value they get with vacation rental condo or villa instead of a hotel, especially when they discover how much they’re saving over a hotel,” he said. 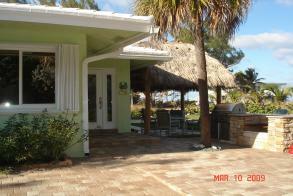 FtLauderdaleVacationRentals.com is the world's first portal dedicated only to vacation rentals in Fort Lauderdale. Established in 2006 and acquired by Vacation Rental Organization, LLC in 2010, Ft Lauderdale Vacation Rental’s mission is to provide a selection of vacation rentals in Fort Lauderdale and to connect travelers with property owners in the most efficient way possible. FtLauderdaleVacationRentals.com's system allows potential renters to select from an extensive collection of properties, based on location, size, price, and by a variety of features and property types. Prospective renters can research, compare and select cabins, villas, houses, estate homes, mansions, condos and other vacation properties in Ft. Lauderdale. FtLauderdaleVacationRentals.com is not a broker; it offers a set of management tools combined with an economical conduit between travelers seeking the space, value and amenities of vacation rentals and homeowners looking to rent out their vacation properties. For more information, visit the Ft. Lauderdale Vacation Rentals website at FtLauderdaleVacationRentals.com.